Midnyte Reader: Book Blogger New Year's Challenge - January 2, 2014. 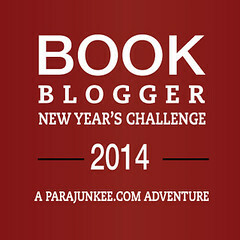 Book Blogger New Year's Challenge - January 2, 2014. 2. My pros and cons of Blogging list. ~The Pressure! That self inflicted pressure of posting interesting, intellectual and fun content several times a week. ~Bad Blogger Behavior. I think we all have encountered this. Books and swag snatched out of our hands. Being pushed at a con. And to top if all off, publishers and other professionals lump us all in as participating in that bad behavior. Can you blame them? ~Other drama. Oh do I really need to go into it? ~The Awesome People I've Met! I've met some of my dearest friends via blogging and I'm so thankful and blessed. I've corresponded with sweet, thoughtful people from all over the world. ~The locations I've travelled to to meet said authors. New Orleans several times, Salt Lake City, Savannah...One thing I love almost as much as reading is travelling. So happy I've been able to combine the two. ~Book recommendations! Maybe this is good and bad. I've become exposed to so many more books after I started blogging. It's like information overload! I just wish I had more time to read them all. How about you? Can you relate to any of these? What are your pros and cons of blogging? oh yes the pressure we put upon ourselves. Yes to bad blogger behavior. Yes to meeting such wonderful people who I call FRIENDS :) and love the book community . The pressure, even if some of it is self-imposed, can really get to me sometimes. Need to work on that! But all of the awesome bloggers I've met over the years more than makes up for any negatives, so very glad to be part of this great community! There is a lot of pressure, like Julie said most of which I put on myself! OMGosh!! You are SO right about having people to talk books with!!! I have no one to talk to about the books I read in my "real life". But get me to a book signing and I'm on cloud nine! That is so fabulous that you've gotten out and traveled to all the book events!! Someday I'll leave our state for an event, hopefully! Yes, the pressure makes reading not so fun sometimes. But I love the interaction with booklovers and going to conventions and meeting authors. And I love chatting with them on social media. p.s. I think some of your text is missing in the post. Pressure was one of my cons too. And the book recommendations can be great!